ATLANTA (June 5, 2018) – Looking to transition from his military career to his civilian career, Army Staff Sergeant John Masters now has a boost for his first film project, thanks to Hope For The Warriors® and its A Warrior’s Wish® program. Through A Warrior’s Wish, Masters received $15,000 of support to help fund the film Her Inescapable Brave Mission (HIBM), through his Atlanta production company Masters Productions. HIBM is a documentary of a 12-day expedition through the Grand Canyon featuring Masters wife, Cara. At just 30 years old Cara was diagnosed with a rare type of muscular dystrophy called Hereditary Inclusion Body Myopathy (HIBM). 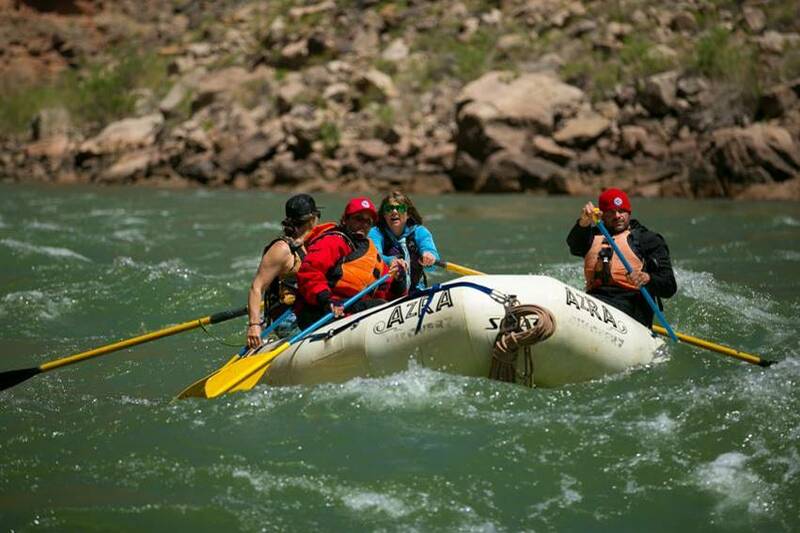 With John by her side, the film will follow Cara striding on horseback as she descends nearly 6,000 feet into the country’s deepest canyons and continue to follow her as she rafts 150 miles down the Colorado River. The goal of the project is to break down the barriers faced by people with disabilities and to inspire everyone to live bravely in the face of adversity. “The meaningful reward that coexists with all of the personal and external accomplishments of military service, is something I have been longing for ever since my medical retirement from the Army,” said John. My spirit felt full, and I lived with a sense of worth and self-respect, knowing that my actions and efforts were contributing to the betterment of my community and my nation while I was deployed, and I have been desperate to rediscover that sensation as a veteran. “With the support of Hope For The Warriors, that desire is becoming a reality. Working alongside my wife to spearhead this effort, HIBM: Her Inescapable Brave Mission, has provided me purpose and fulfillment. Spearheading an effort, bigger than ourselves, being part of a team, and knowing that we are working to spread a positive message to those in need, has brought a light back into my life, that has been absent ever since I separated from the military. Thank you, Hope For The Warriors, for helping to make this journey possible, and for all your sincere efforts to serve and honor the veterans of this country,” added John. Masters enlisted in the United States Army in 2001 and served as an Airborne Ranger. Between 2002 and 2005, he deployed to Afghanistan three times and once to Iraq. He was honorably discharged and went to college to study film at the New York Film Academy. In 2007, he enlisted in the United States Army Reserves and reclassified his military occupational specialty to combat cameraman. Masters received training through the Army in both photography and cinematography and deployed to Afghanistan in December 2009. While serving in Afghanistan as a combat cameraman, Masters was injured due to a severe blast and medically evacuated out. He received treatment at Walter Reed National Military Medical Center and medically retired in 2012. Active with Hope For The Warrior’s since 2010, Masters has previously received the Hope & Courage Award at the annual Hope For The Warriors Got Heart Give Hope Gala and is a member of Team Hope For The Warriors. Since the program’s inception, A Warrior’s Wish has granted 183 wishes. For more information on Her Inescapable Brave Mission, visit hibmfilm.com. Founded in 2006, Hope For The Warriors is a national nonprofit dedicated to restoring a sense of self, family and hope for post 9/11 veterans, service members and military families. Since its inception, Hope For The Warriors has served more than 19,000 through a variety of support programs focused on transition services, clinical health and wellness, sports and recreation and community development and engagement. The nonprofit’s first program, A Warrior’s Wish, has granted more than 180 wishes to fulfill a desire for a better quality of life or support a quest for gratifying endeavors. In addition, Run For The Warriors has captured the hearts of more than 23,500 since 2010. For more information, visithopeforthewarriors.org, Facebook or Twitter.